For the 2014 Arrowhead Home and Builders Show, Knutson Custom Construction built a sleek and modern sauna for our booth display. 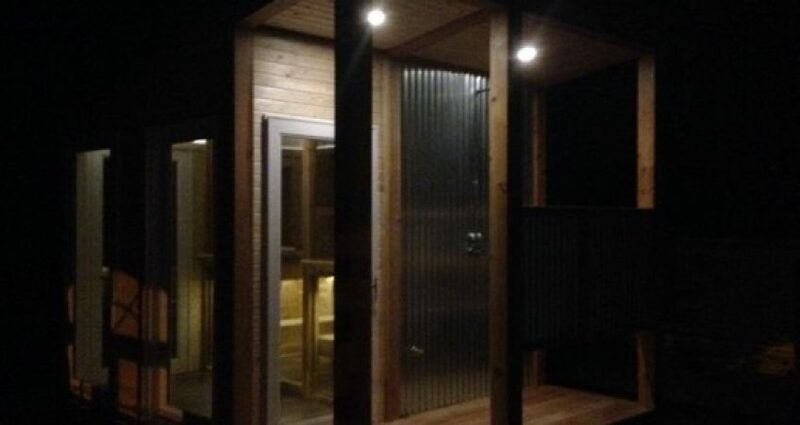 Andrew Knutson created the design after looking at many many different saunas for inspiration. The idea behind the sauna was so that one could take a sauna while enjoying the environment around them. Whether you live in an area with lots of trees or on a lake, the floor to ceiling windows allow you to take in the beauty around you while relaxing and enjoying a nice hot sauna.